In 1957, at the age of 8, Walter Browne was taught chess by his father. In 1966, Browne tied for 1st place in the Marshall Chess Club Championship, but lost the play-off to Paul Robey. In June 1966, Browne (rated 2292) won the first annual US Junior Championship, scoring 5 wins and 2 losses. It was played at the Henry Hudson Hotel in New York City. He won a trip to the US Open in Seattle. In August 1966, Browne tied for the junior prize at the US Open in Seattle, but lost on tiebreak to Leroy Jackson. In July 1967, Browne took 2nd in the US Junior Chess Championship, won by Salvatore Matera. Browne won an all-expenses-paid trip to compete in the US Open at Atlanta. The event was held at the Henry Hudson Hotel in New York City. In July 1967, Browne moved from New York to Santa Monica, California and won the Ernest Shields Open in Bakersfield. In August 1967, he took 4th at the US Open in Atlanta. By the end of 1967, at age 18, Browne was the highest rated Junior (under 21) in the USA, with a rating od 2419. He was the 17th highest rated player in the USA. Bobby Fischer was 1st with a 2762 rating. In 1968, Browne tied for 2nd with Pal Benko at the US Open in Aspen. Bent Larsen won the event. In November 1968, he tied for 2nd with Larry Remliner at the American Open in Santa Monica. The event was won by James Lazos. In December 1968, Browne drew a 6-game match with James Tarjan in Los Angeles. Browne applied for Australian citizenship and headed for Australia. If he won the Australian Championship, he would be able to play in the Asian Zonal. If he won the Asian Zonal, he would become an International Master and qualify for the Interzonal. In August 1969, Walter tied for 1st place with Renato Naranja at the Zone 10 Asian zonal and was awarded the International Master title. In September 1969, Browne was awarded the GM title after success at an international tournament in Puerto Rico. He tied for 2nd with Arthur Bisguier and Bruno Parma, behind the winner, Spassky. At age 20, he was the youngest GM in the world at the time and the 3rd youngest ever up to that time. Only Fischer and Spassky were younger GMs. Browne became Australia’s first Grandmaster. In November 1969, Browne played in the 5th American Open in Santa Monica and tied for 2nd with Kim Commons and Ron Gross. The event was won by Ray Martin. This was my first rated tournament and I watched as Browne lost one of his games. Browne was top seed. In 1970, Walter Browne played Bobby Fischer in Zagreb and drew after 98 moves. Both sides missed wins during the game. In 1970 and 1972, Walter played first board for Australia in the Chess Olympiads. In March 1971, Browne tied for 1st at the National Open in Sparks, Nevada. He then tied for 2nd at Lone Pine, won by Larry Evans. In August 1971, he tied for 1st with Larry Evans at the 72nd annual US Open in Ventura, California. There were 402 players in the event. In 1971, Browne won an international tournament in Venice, Italy. In 1972, Browne won the National Open in Sparks, Nevada. In 1972, he won the US Open in Atlantic City. In March 1973, Browne tied for 1st with Szabo and Tarjan at the National Open in Las Vegas. In July 1973, Browne won the first World Open, held in New York City. In the summer of 1973, Browne played in 8 Swisses and won every one of them, earning over $8,000 in two and a half months. In 1974, Browne won at Wijk aan Zee. In April 1974, he won at Lone Pine. Browne has won the US chess championship 6 times (1974, 1975, 1977, 1980, 1981, and 1983). In 1974, Browne’s USCF rating was 2562, behind Robert Byrne (2618) and Lubosh Kavalek (2570). In 1975, he played in the World Class Championship in Vancouver, BC. His final round game was with Paul Keres, which Browne lost. It was Keres’s last chess game. He died in route back to Estonia. I did the demo board for that game. From October to December, Browne drove over 16,000 miles through 40 states and gave 50 simultaneous exhibitions. He played 1,417 games, winning 1,328, drawing 49, and losing 40 games. I played him in one of the chess simuls in Henderson, NC (losing in 40 moves), but beat him the next day 6-0 (but in tennis). He made over $10,000 after expenses in two months. In 1977, he won the US chess championship at Mentor, Ohio. 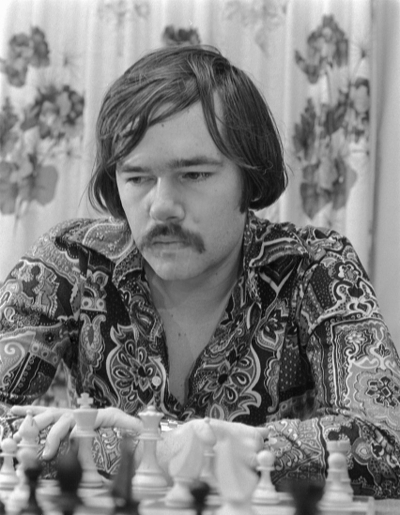 In 1978, Browne won an international tournament in Reykjavik. In 1980, Browne tied for 1st with Yasser Seirawan at Wijk aan Zee. In 1981, he won the US championship at South Bend, Indiana. In 1981, he won an international tournament in Chile. In 1982, Walter Browne and Ron Henley tied for 1st at the First Lady International in Indonesia. In 1983, Browne tied for 1st at the New York Open. In 1984, Browne won the National Open. In 1985, he won an international tournament in Naestved. In November 1986, Browne tied for 1st at the American Open in Santa Monica. Walter Browne has won the National Open 11 times, the American Open 7 times, the World Open 3 times, and the US Open twice. Walter Browne has won more Swiss system events than any other chess player. Walter Browne is distantly related to Bertrand Russell on his mother’s side. Walter Browne is also a professional poker player and has won over $300,000 in poker.